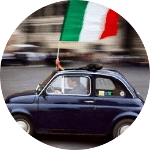 Here following you will find a Video Course of Italian addressed to people that want to start to learn Italian and want to have a general overview on the language. 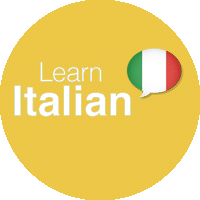 In this post we will discuss about the Italian Verbs Conjugations and about some Italian Irregular Infinitives with special regard to the Latin origin and the English equivalent verb. Here below a descriptive video. All the Italian Verbs are divided in three classes. Each of this class is defined by the Infinitive termination: the First Class ends in ARE, the Second Class ends in ERE, the Third Class ends in IRE. Here following you have a list of some of the most common Italian Verbs for these three classes. Each Class difines and provides the rules for the regular Italian Verbs. Instead if the verbs does not follow all the endings provided by its class or changes its root, it is an Irregular Verbs. You can see that in order to conjugate SPERARE, that is a regular verb, you must drop the infinitive ending ARE, and then to attach the 1st class regular engings: – O, – I, – A, – IAMO, – ATE, – ANO. By the other side the irregular Verb ANDARE not only changes its root but also changes the regular terminations for the first conjugation (for example VANNO). Finally we can speak about some interesting irregular infinitives. They are irregular from the Second Class (ERE), you can understand why looking at the Latin origin of these verbs: these Latin infinitives are all ending in ERE. Here you find an Online Latin Dictionary that will let you know the English translation of the Latin words. 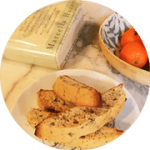 This post belogs to the Online Italian Course for Beginners.